The best advice is to stay on top. That means avoiding high-avalanche danger and possibly using an airbag pack. But you also need to carry rescue gear to dig someone out if plan A falls through. Beacons locate, probes pinpoint, and shovels dig. These aluminum cartridges store the life-blood of the Mammut Airbag system: simple compressed air. The cartridges can be purchased with or without a charge, noting there are transport restrictions on a charged unit (no air travel). Either one can be refilled using a compressed air source such as a SCUBA or paintball tank. To recharge a unit, you’ll need a tank, adapter, and a refil.. In the unfortunate situation that you reach for your ARVA Reactor trigger handle, you’re going to want a canister attached to the other end. These high-strength canisters are built to withstand the pressure necessary to inflate your airbag and durable enough to tolerate the rough handling brought on by mountain travel. The canisters are available in two versions: Steel Air cy.. The perfect gift for your ski partner, the ARVA Axio Beacon might give them the best chance of finding you if you’re buried in an avalanche. 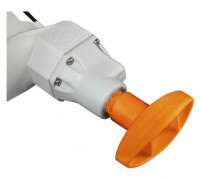 Other beacons rely on a very short third antenna which is limited by the depth of the housing. This renders the antenna useful only in the final search phase: refining the area to probe. In contrast, the Axio’s third antenna is designed to be .. The Micro Beacon is the smallest and lightest way to get past gear check at a skimo race. For the 2016/17 season and beyond, the ISMF is requiring three antennas in all avalanche transceivers. This is good news because folks may no longer make a big safety compromise when racing. Although somewhat limited in range, the Pieps Micro beacon is full-featured enough for use in the backc.. 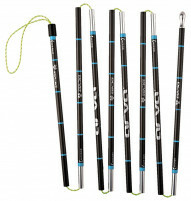 This ARVA combo kit is a great way to get started in the backcountry. You get all the gear you need at a discounted price: Neo+ Beacon – An avalanche transceiver with the best range on the market that is simple to use. What more do you need? 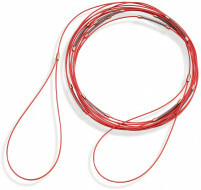 Light 240 Probe – A lightweight aluminum probe with ample length that is quick to assemble. Done. Ovo Access TS shovel – Big blade, s..
We have been loath to carry airbag packs since they’ve been so heavy. Enter the Mammut Ultralight with the Removable Airbag 3.0 system. Without the canister the pack is nearly race-weight, and it comes in under 2kg when all topped up. That means you may not have to sacrifice much speed for the additional avalanche safety. 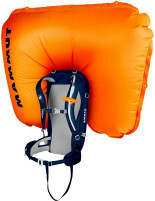 The compressed air system is the 3rd iteration from Mammut, ..
Not all airbags are created equally. Ideally, if you were to remove the airbag system from the pack, it would still be one that you enjoy skiing with. In the case of the ARVA R15 Ultralight, the excellent pack layout leaves little to be desired. 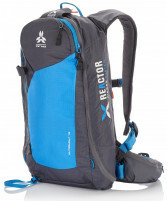 The ultralight Reactor pack is a clean, low-volume pack for light and fast missions in avalanche terrain. It also has impressive reliabili..
As the big brother of the Ultralight pack, the 30-liter version allows you to carry technical gear and a few more candy bars. The Light Removable Airbag 3.0 offers the same safety features since it’s also equipped with Mammut’s third iteration RAS. The bigger pack is still light by itself, but it’s built with an aluminum frame to better handle a bigger load. That is important when .. Whether you are a wisened backcountry skier or a fresh greenhorn right out of your Level 1, you can appreciate a good airbag. They are a useful tool when paired with judgement, terrain management, and objective decision making. The ARVA Reactor Ultralight 25 is a sleek, lightweight, and effective airbag designed to help take you safely into the backcountry. The ”Goldilocks” 25L vol..
Due to its small 23x20 inch blade size, the Crest Shovel from CAMP would not be ideal in deep burial situations. However, given that the Crest is the lightest ISMF certified shovel on the market, it's perfect for skimo races when you have an army of blades for digging. 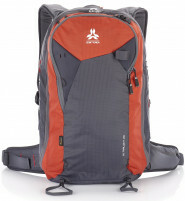 It also has several options for condensing into or onto a pack so you can keep yourself streamlined during the rac.. 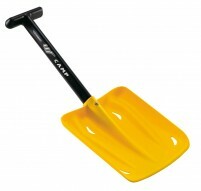 The ARVA Plume is one of the lightest functional avalanche saftey shovels on the market. With a 46cm (18.25 inch) carbon fiber shaft and a sizeable 24.5cm x 25cm (9.6in x 9.8in) aluminum scoop, the Plume will actually move some avalanched-hardened snow. But since it weighs right around 400 grams, you might not feel like you're carrying a true rescue device. Full length carbon.. If you're serious about moving snow that might be on top of your ski partner, consider carrying the Rocket. 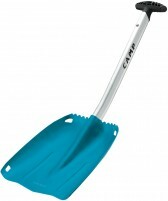 With a telescoping handle that extends to 65cm (25.6 inches) and a sturdy 24cm x 28cm blade (9.4" x 11"), the CAMP shovel can move some serious snow. While heavier than some other shovels, the Rocket makes up for it by being very packable. A clever design features no protrudi..
A lightweight probe from Mammut with a robust tensioning system. The Fast Lock Carbon Probes have stable, lightweight segments that snap together with a telescopic locking mechanism that is easy to use with gloves on. The tip is drop-shaped to help save energy when probing, and the sides are marked with precise scales so you know your target depth. The Mammut Carbon 240 Light probe..
As light and awesome as the Carbon 240 Light probe is, the one drawback can be its length. The 43cm folded length can make it awkward to fit in shorter skimo race packs. Disliking drawbacks, ARVA decided to make a compact version which has a folded length of just 33cm. This is accomplished by having eight sections instead of six and making the probing point sit flush. The tradeoff ..
CAMP's lightest, the Carbon Fiber Avalance Probe is great for competitive ski mountaineering or everyday touring. Weighing only 133 grams (4.7 ounces), the six section probe is 240 centimeters (7' 10.5") in length, making it compatible with ISMF racing regulations and deep burials. The probe is connected with strong Dyneema® cord, a tug and cinch of which makes for quickly assembly..
Multi-use gear is bonus for ultralight enthusiasts and G3 offers one with the Rutschblock cord. The coated steel cable is designed for isolating snow columns but is also great cutting small cornices. No need to carry dynamite and a snowpack tool, just carry the G3 Rutschblock cord. The cord is dotted with stiff metal springs that create slicing friction while you saw like a lumberj.. These kits enable refill of Mammut compressed air cartridges. Consisting of a gasket and cover plate, the Refill Kits are available in 3 or 20 unit quantities. These are the parts that go boom when a canister is triggered. Attach the cartridge to a compressed air source using an adapter and soon you’ll be ready to ski unstable snow (not recommended). ..
Each deployment of the Mammut Airbag 3.0 system uses up a refill kit. You also need to find a compressed air source to reload the cartridge. Enter the Trigger Test Tool. This handy device lets you practice deployments without emptying a cartridge. Screw the tool into the deployment mechanism, put on the backpack, and pull the handle. A clear snapping sound means you’ve successfully..
Be sure the dive shop in your target destination can fill your airbag pack by bringing this adapter. 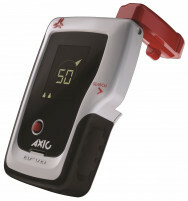 It connects to any SCUBA tank and refills Mammut air cartridges. You’ll also need a refill kit for each cartridge, as those parts get used up each time the airbag is triggered. The adapter makes a connection between the cylinder and an empty cartridge, and can be reused indefinitely.. Crystal Cards are crucial for analyzing snowpack-structure as the difference between a weak layer and a well-bonded layer doesn’t look a whole lot different to the naked eye. Crystals placed on the cards, however, become instantly recognizable and sizable. 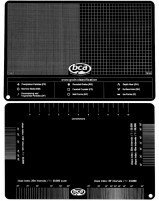 The BCA cards are available in two options, Polycarbonate and Aluminum. The polycarbonate version doesn’t absorb as much solar..
A comprehensive set of snow-study tools in a handy kit. The BCA study kit is designed to be beginner-friendly due to its simple and self-contained natured, but it’s also used by expert forecasters for the same reasons. 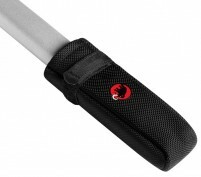 The durable fabric-case includes several pockets for dedicated snow-study equipment and a handle to hang it over the tip of your ski while in use. Even when packed f..